Original reports of an Air Ambulance Crash after take off at Essendon Airport this morning. 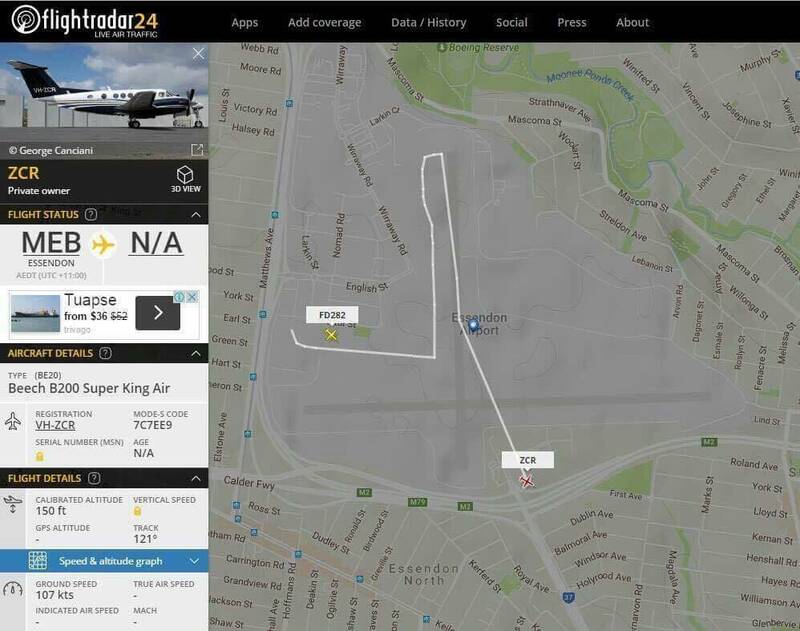 Now reported as a King Island flight, 5 seater charter aircraft. Maybe a rethink of having retail operations within an airport boundary might be in order longer term? Reports coming in now of a Mayday call to the effect that there was left engine total failure on takeoff from runway 17 and insufficient power to clear the DFO building with a left wing down stall whilst attempting to return to Essendon for an emergency landing, the left wing slicing open the flat steel roof of the building and the a/c flipping off the roof at the back of the Focus on Furniture store loading dock. 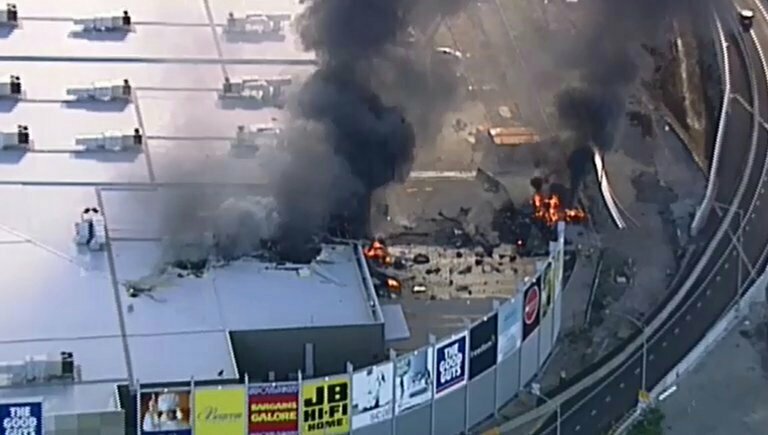 An aircraft wheel was seen crossing the adjacent Tullamarine Freeway and the southbound lanes are to be closed pending ATSB inspection/photography of debris across the freeway. From aerial views of the remains of the fuselage the fire seems to have completely incinerated 95% of the a/c, with only a fragment of nose and tail discernable, and the boarding stairs framework oddly poking up in the remains. From all accounts there is no explanation for why the twin turboprop King Air with only 5 people aboard and one engine failure could not sustain flight and altitude sufficient for an emergency return to the airfield. Ten News has published dashcam footage from a vehicle which appears to be travelling northbound on Bulla Road, just on the overpass over the Tullamarine Freeway. Zac, the terminals are placed within ICAO and CASA guidelines with regard airport design, the DFO at Essendon and indeed the one at Canberra are not. RESA and clear ways are there for a reason. Last edited by MarkR; 21st February 2017 at 03:05 PM.